I found out for myself when it was obviously too late, that love and respect go hand in hand – and they are actually inseparable within the context of a marriage relationship. Mutual love and respect, as most experts would agree, are key elements to building a healthy relationship and guarding each other against abuse. To support that thesis, scriptures such as Galatians 5:22-23 and 1 Corinthians 13:4-8 speaks specifically about the way we treat each other with love – and respect, although not explicit, is implied, and a huge part of the text just as much as love is. Arguably, one can say that there are women today who have been faithful, they have done their ABC’s (above and beyond call of duty) who love, honor and respect her spouse for years, yet they are dogged, cheated on and treated by her husband as a live in maid. The question is though, should one try to put out fire with fire? You may think of him as a jerk, but does that give the right to be disobey God’s command towards your spouse? My answer is no, two wrongs do not make it right. Wives primarily we need love, that’s true, I must add. But studies have proven that when both spouses get their needs met through love and respect, a marriage can be glorious just as much as it honors God who ordained the institution of marriage. His male ego and that level of respect and honor given to him in that first divine order cannot be undermined and eroded, especially not by us women, his help meet, who through our own insecurities at times and perhaps even us reacting to feeling unloved and rejected by others, lash out at him in very disrespectful ways. He must be made to feel like the king in his castle, like the priest and the prophet in the home, (his first church) as the spiritual leader and head of the family, the provider and the protector. From the moment a spouse feels disrespected, he begin to develop feelings of being unloved, wounded in his heart, spirit and soul and simultaneously, withdraw his love from his spouse. Wives let us sow the good that we expect to reap in our harvest. I trust you will agree with me, we are not always loveable, yet we need our spouse to love us nonetheless. Same way our spouse need our love when they are not loveable. God did not command us to love the sin, but he expects wives to be submissive to her spouse, to love and respect him and forgive him when he has done wrong, just as we need Christ’s forgiveness. Love and respect cannot ever be separated, they are not optional – they are actually God’s command! 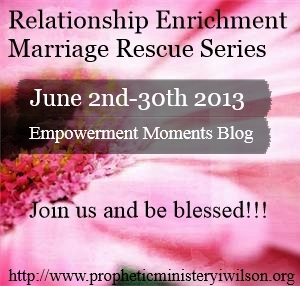 Thank you for being a part of Empowerment Moments Blog. The place where destiny is more than just a dream, it’s your life, it’s reality! 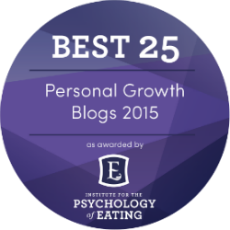 If this article blessed and inspired you, chances are it will do the same for others. Please join me in sharing it with others. Blessed are those feet that carries the gospel.